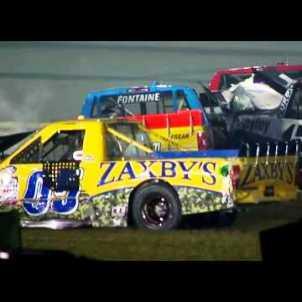 Even though NASCAR fans understand the danger involved with the sport, crashes are a huge part of the appeal. When trucks are involved, the extra mass and harder handling take the danger, along with the excitement, to a whole new level. Thankfully, crashes like these, especially ones involving trucks, are a rarity. That, in turn, makes them even more of a spectacle.